“More biking it and liking it!” is the mission at Bike Benefits Seattle, an organization that encouraging more biking with incentives like discounts. At our Essential Baking Company Cafes, you can purchase a Bike Benefits sticker for your helmet for just $5. Showing your sticker to our employees gets you 10% off your purchase. This sticker is also good at all other discount locations. 1. 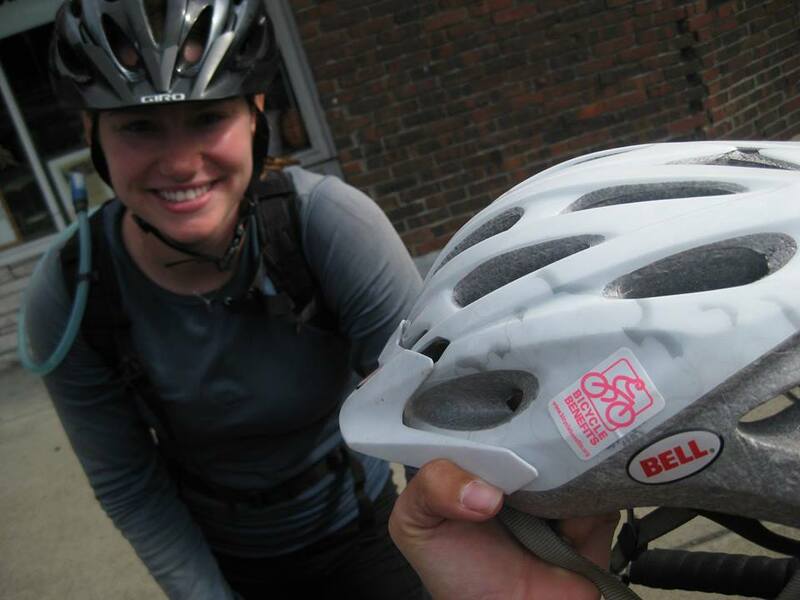 Individuals get a $5 sticker for their bike helmet. 2. Show their helmet when they ride to one of our bike friendly Essential Baking Company Café locations. 3. Receive a 10% discount off your purchase as a reward for riding! Yeah for bikes…Yeah for Bike Benefits! Rosemary Croissant or Tomato, Asiago, and Walnut Croissant? Fall Seasonal Pastries are out!